Thank you for your interest in Cub Scout Pack 943. 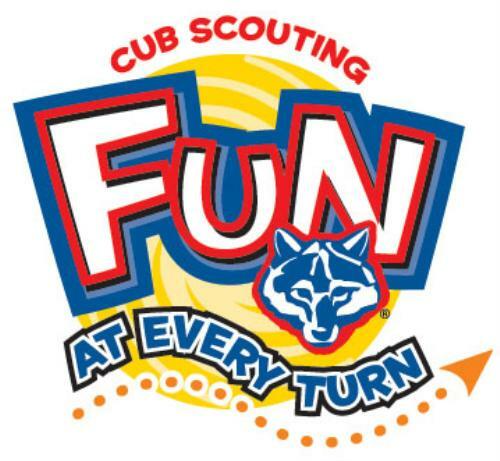 In Cub Scouts, your son will have lots of fun, learn new things and meet new friends. 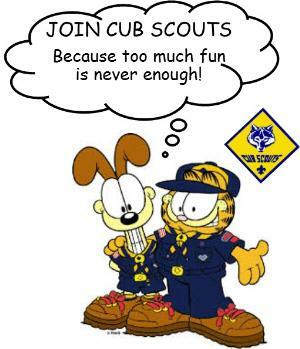 But Cub Scouts is much more than that; it is fun at every turn! Scouting develops character, leadership, communication skills, and good citizenship. Scouting is a year round program, where most other programs only last a few months. Scouting encourages your son to be active, be healthy, and to Do Your Best! We have many exciting activities planned this year from our Rocket Launch, Pinewood Derby, and Rain Gutter Regatta. Community related activities including participating in Pleasanton's Holiday Parade, and Scouting for Food for local food pantries. Also see About Us page for additional events. Membership in Pack 943 is open to all boys who are in Kindergarten through fifth grade ( or 6, 7, 8, 9, 10 and 11 years of age). *New or existing scouts, who do not have a Class B uniform, need approximately an additional $15.00 to purchase their Pack 943 Class B uniform (T-Shirt). 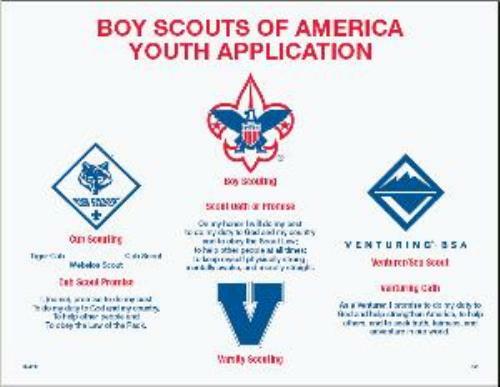 All new scouts are required to complete an application. 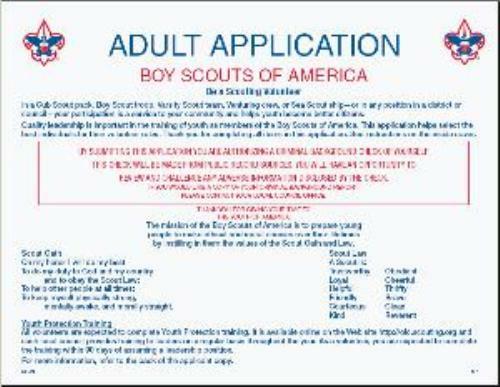 Below you can download and print both a youth and adult application in which you can bring to any of our events to begin your fun and exciting experience with Cub Scouting and Pack 943. Parents: You too can join Pack 943 in one of many Leadership Roles available to you. New Cub Scouts may pay a prorated fee for the remainder of the year, depending on when they register.